The machine with counter-pressure unit is especially used when working with plastic material (PE or PP foil) for inmould labels. 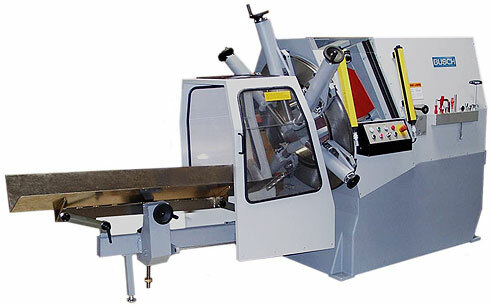 For large-size products of paper, board or PVC, where no counter-pressure is needed, the machine is fitted with a delivery tray in place of the counter-pressure unit. Once the stack of square cut sheets is inserted the cutting stroke is released by activation of the safety light barrier.